As a homeowner, you know how important it is to find ways to save money, whether it’s on regular expenses or monthly bills. Reducing your water consumption is an excellent way to lower your monthly bills, and as a bonus, it’s also a great way to help the environment. 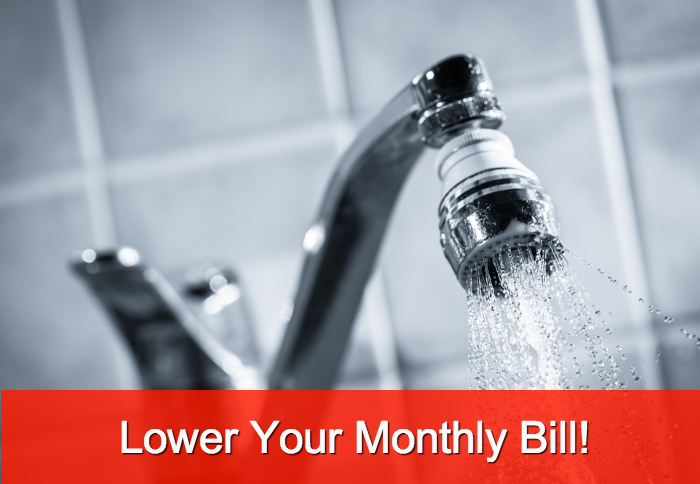 In this article we’ll show you ways on how to save money on your water bills. Install low-flow toilets. You will probably flush 140,000 times over the course of your life.Installing water-efficient toilets in your home will save up to 4,000 gallons of water! Other installations that will save water: faucet aerators, water efficient washing machines and water efficient dish washers. Reduce your showering time. Take showers instead of baths. According to the websiteGracelinks.org, the average bath uses 40 or 50 gallons of water, while a shower may use only 15 gallons of water. Gracelinks also recommends timing your showers by listening to the radio during shower time, and limiting your showers to only one song, if possible. Catch extra water in a bucket, water plants with it. While you’re waiting for the water to heat up in the shower, put a bucket in the bottom of the bathtub and use the extra water for your household plants. Water your lawn in the early morning or after dark. Watering your lawn and shrubs at the height of day means that you lose a lot of water through evaporation. Use sprinklers that water with big droplets instead of a light mist. Water in the form of a light mist evaporates more easily than big water droplets. Maintain broken in-ground sprinklers. Broken sprinklers waste water and cause damage to plants within their spray radius. Cover your pool when not in use. Not only do solar pool covers heat the water with the energy from the sun, but they also prevent water loss through evaporation. Plant drought-resistant shrubs. 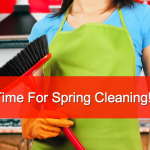 Plant shrubs and landscaping plants that can tolerate little or no water when the weather is dry. According to the EPA, the average US household can lose up to 10,000 gallons of water every year on leaking faucets and pipes! Save water indoors and out by identifying leaks, fixing broken sprinkler heads and replacing deteriorating pipes. 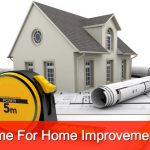 Hire a professional you can trust to inspect your property and make the proper repairs. Find the plumber right for you on Bid On Work.com, and get started saving water today.